Home » Persecuted Christians Jesus , Roma Downey , Stop the christian genocide » Your Voice Counts - Stop the Christian Genocide! 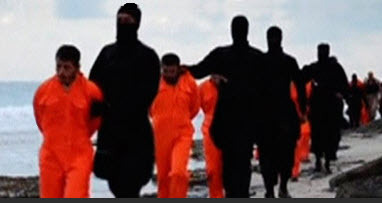 Your Voice Counts - Stop the Christian Genocide! 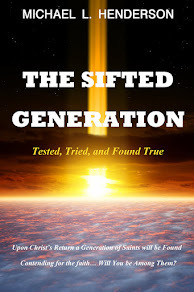 In my book, "The Sifted Generation, Tested, Tried, and Found True," I wrote of a sifting of believers that would take place on earth prior to the return of Christ; a sifting that would separate true believers from the pretenders. The results of this sifting would be clearly seen in the public eye—even shouted from the rooftops of the world—as those who are true God-fearing Christians would be called to make a faithful stand on the side of Christ. Today, before our very eyes, we see this happening as believers in different parts of the world are shedding their blood, giving their lives in martyrdom, undergoing scorn and ridicule, and being sued for consciously and publicly practicing their faith. "From the beginning of the earthly ministry of Christ, this sifting, or winnowing process was set in place by the Lord. His words would ring loud in the hearts of the crowds, and they would meticulously sift the wheat from the chaff of false religion, specifically identifying those of true faith from the pretenders. A simple perusal of the gospels will show that many loved Him and many despised Him. This sifting was also evidenced in the early centuries of the church, as believers were cast into dens of lions, burned at the stake in the Roman Coliseum, and driven from their homes with only the clothes on their backs (see Heb. 10:32-34). The same thing is ringing true in today’s world as well. It’s one of the principal reasons why I believe we have entered upon the final days before the Lord calls His church to be with Him in heaven (1 Thess. 4:13-18). 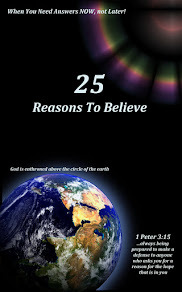 In order for the end-time rebellion Jesus foretold to come about, a worldwide disdain for the God of the Bible must occur. Because of this rejection of biblical truth, and by proxy, Jesus Himself, those in rebellion will rise against the faithful witness’ of the Lord, causing the world to be thrust into empirical chaos. Jesus described what the state of society would be like in those final days, when He said, “And then many will be offended, will betray one another, and will hate one another. 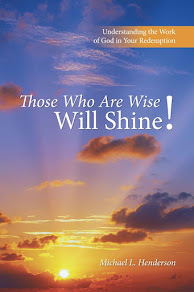 Then many false prophets will rise up and deceive many. And because lawlessness will abound, the love of many will grow cold” (Matt. 24:10-12). Maybe you're not being persecuted like those in the middle East, Asia, North Korea etc,. Maybe you're simply wondering what you can do? First of all I would say pray. Pray daily for all those being persecuted and for the families many are leaving behind. Stay informed. Keep attuned to what is going on. Seek out groups that are working behind the scenes to get clothing, food, and to provide shelter for the families left behind. The support them financially and in prayer. Closer to home Mark Burnett and Roma Downey have made a plea for Christians everywhere to raise their voice! As many of you are aware, the Islamic State has been killing, enslaving and torturing Christians and other religious minorities in ways that are reminiscent of 1930's Germany. Hundreds of churches have been destroyed, over two million Christians have been displaced, their children enslaved, and many Christians murdered (including by crucifixion). This must stop. We must raise our voice. * Henderson, M. L. (2015). The Sifted Generation. Westbow Press.